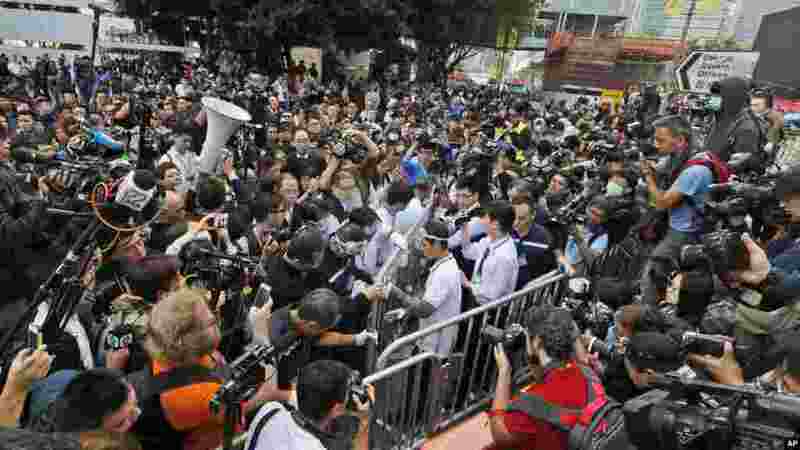 Hong Kong on Tuesday started to clear part of a protest camp in the heart of the city that has been occupied by pro-democracy demonstrators for nearly two months, leaving most of the main protest site intact. 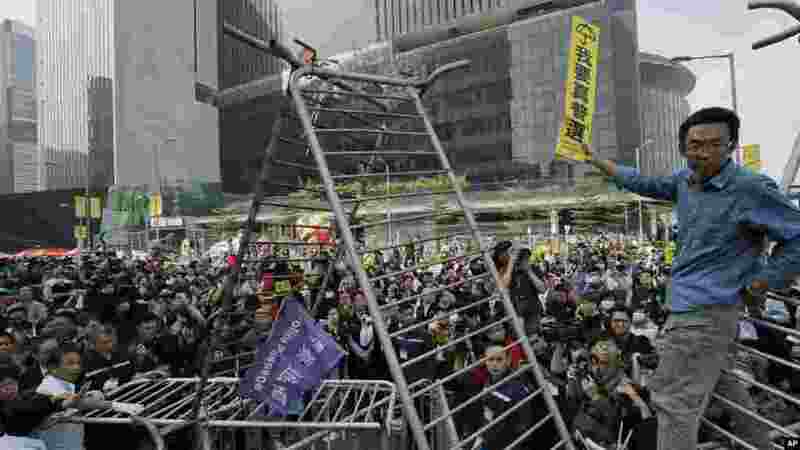 1 Workers, center, start clearing away barricades at an occupied area outside government headquarters in Hong Kong, Nov. 18, 2014. 2 A pro-democracy protester stands on barricades to raise a sign that reads "I want genuine universal suffrage" while workers start clearing away barricades at an occupied area outside government headquarters in Hong Kong, Nov. 18, 2014. 3 Workers start clearing away barricades at an occupied area outside government headquarters in Hong Kong, Nov. 18, 2014. 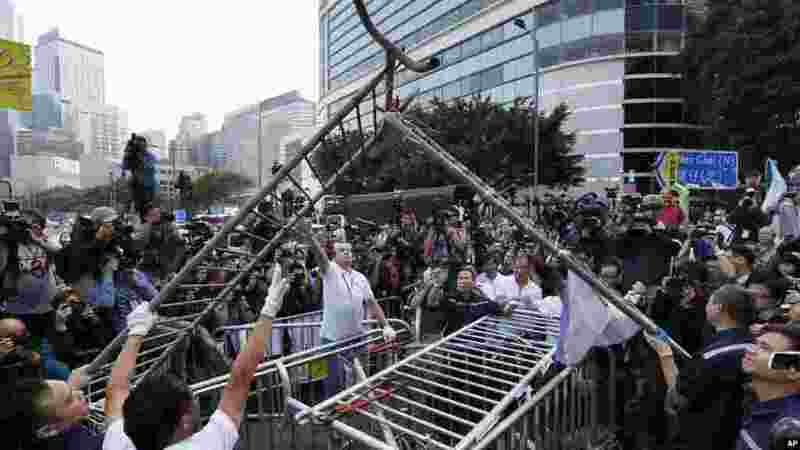 4 Pro-democracy protesters cut through a cable tie while dismantling a barricade outside Citic Tower in accordance with a court injunction to clear up part of the protest site outside the government headquarters in Hong Kong, Nov. 18, 2014.